** Contact us via email for option 3 or 4 above. We have some technique to make the break more controlled to fit visual and budget requirements. 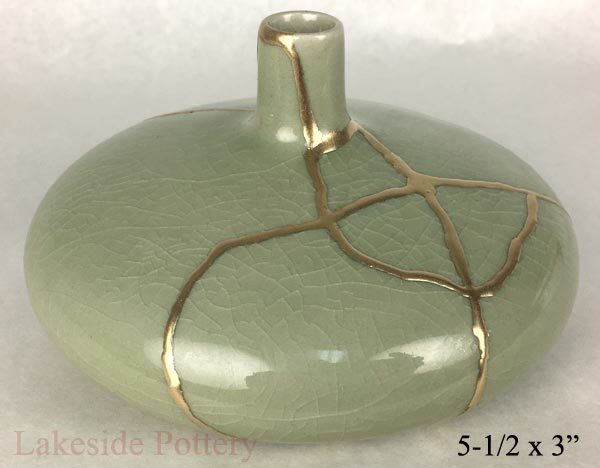 Usage: The completed Kintsugi repair can be used for display only and not functionally. 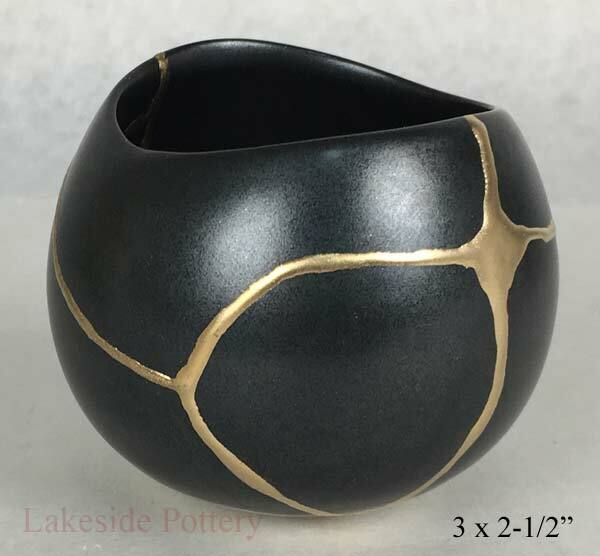 Return Policy: Made to order Kintsugi art is final and can not be returned. What Can We Learn From a Broken Pot? 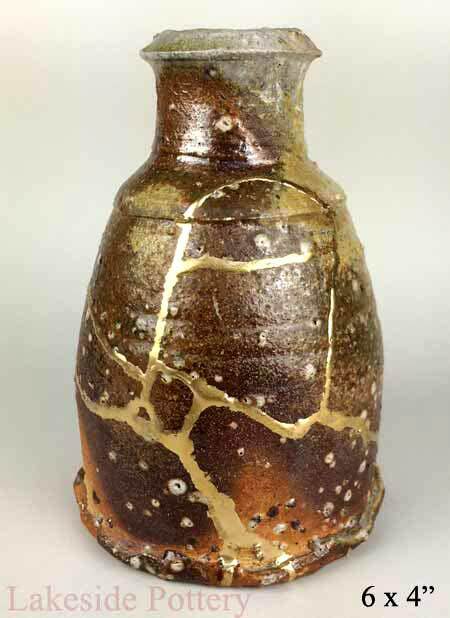 Kintsugi, as the practice is known, gives new life or rebirth to damaged or aging ceramic objects by celebrating their flaws and history. One can consider how we might live a kintsugi life, finding value in the, missing pieces, cracks and chips – bringing to light the scars that have come from life experiences, finding new purpose through aging and loss, seeing the beauty of 'imperfection' and loving ourselves, family and friends even with flaws. Kintsugi (Kintsukuroi) is said to have originated in the 15th century when a Japanese shogun broke a favorite tea bowl and sent it back to China to be fixed. But the repair job, which was done with metal staples (being the standard for repair at that time), detracted from the beauty of the bowl, so the shogun enlisted Japanese craftsmen to come up with a more aesthetically pleasing solution. Kintsugi was born. 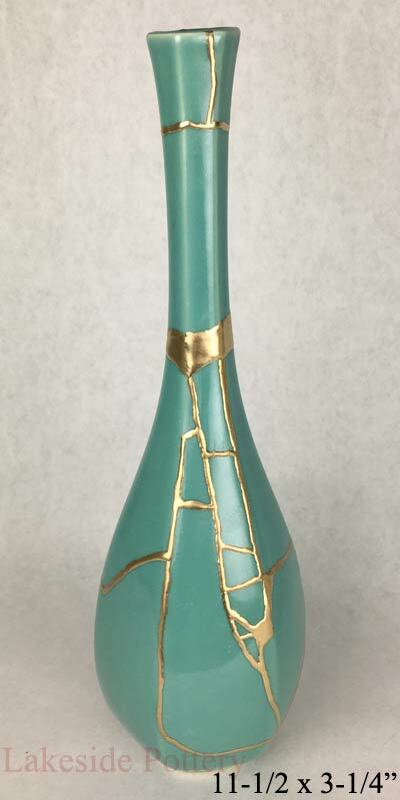 Although kintsugi repair makes it appear as though the original piece was mended with gold, the original process is essentially a form of lacquer art. 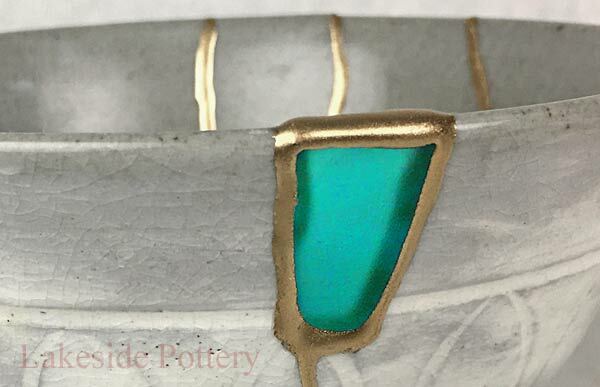 Broken pieces are glued back together using urushi lacquer, derived from the sap of the Chinese lacquer tree. 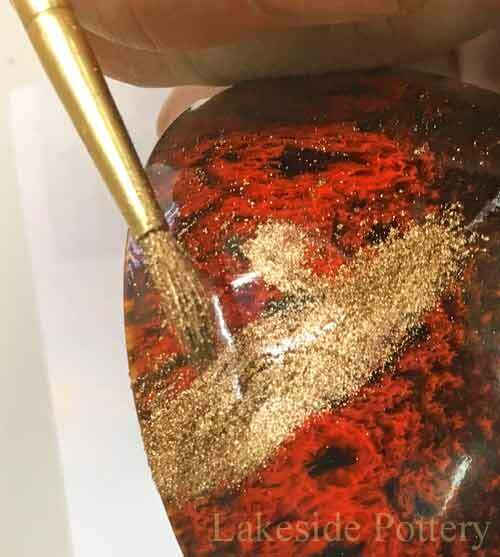 The final layer of urushi covered with fine gold powder. The toxic part comes from the urushiol oil which is found in very high amounts in the tree's sap, and which also happens to be the ingredient that's responsible for forming the dense and highly durable lacquer once dried. 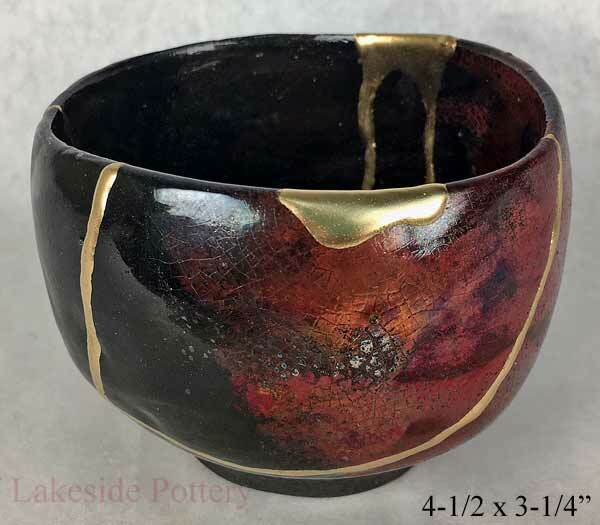 Fortunately, once the urushi dries and hardens the toxic effects of the urushiol oil are essentially nullified.